My Day at Korea Plaza : I Learned How To Cook Korean Food! Annyeonghaseyo! 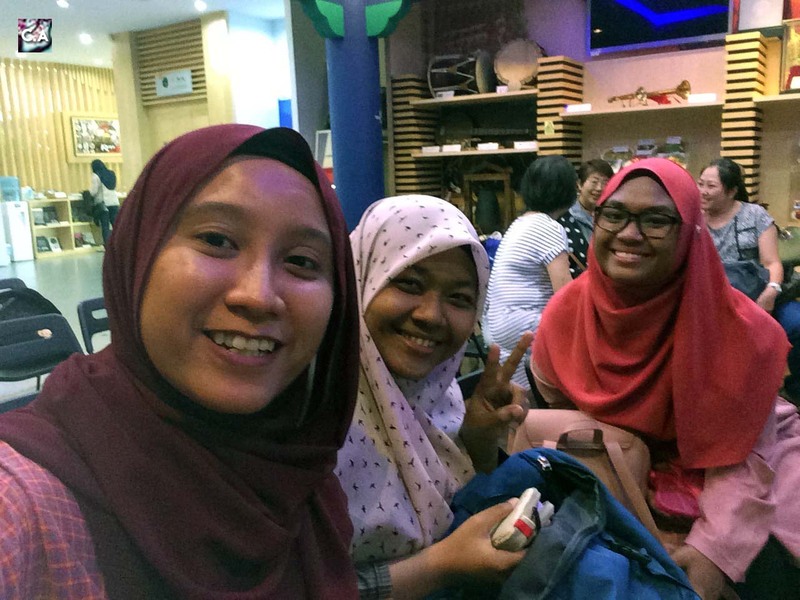 Jaeiremen Aqalili imnida and today I'm going to write about my day at Korea Plaza. Hope you will enjoy reading a diary style of writing and let me know if you want more of this type of post! Korea Plaza located at Menara Hap Seng. My main reason coming to this place because I joined their Korean Cooking Class. I'm not a great cook but I really love to eat (foodie for life) especially Korean food, I'm not sure why but I really enjoying eating most of their food. In case if you are wondering, the class provided for FREE. Yes, please believe me and it was organised by Korea Tourism Organization Malaysia. Before I started get into the cooking classes, I will tell you about Discovery Korea Your Way (DKYW) 2017 Campaign first. It was a really great timing to come here because I will be visiting Korea soon and I have read and doing tons a research about the country and found out that I can get a FREE T-money card by filling a short survey. T-money card is like a Touch N Go card here in Malaysia, and it's really useful since we will be using public transport most of the times there. 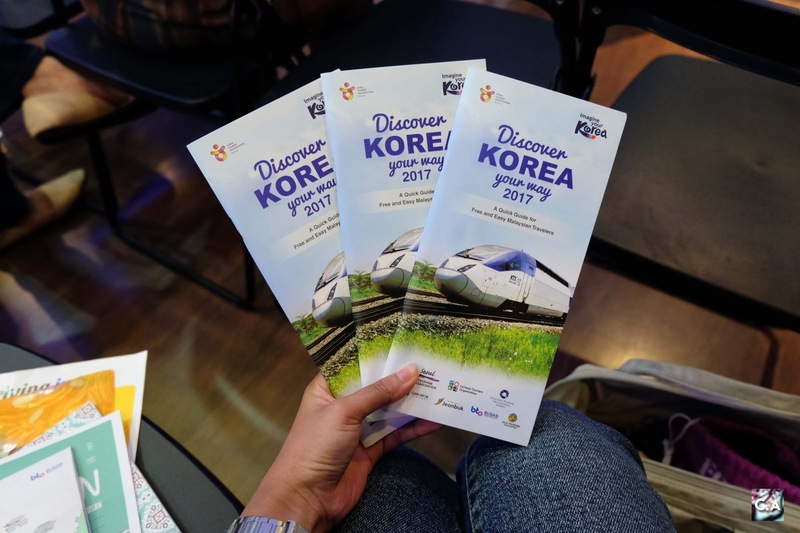 Other than that, this DKYW booklet provide you tons of coupons at most of the area in Korea, click here for more information. 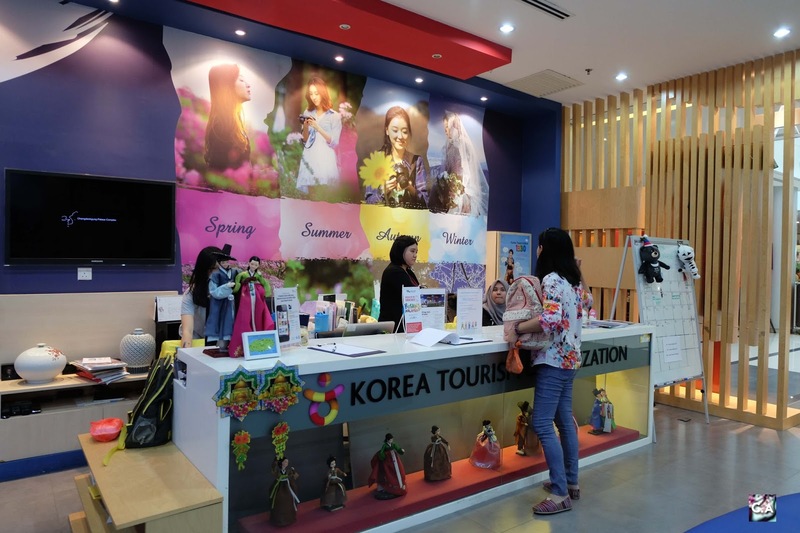 All you need to do is be a member of Kaki Korea Club, then complete the survey, provide some documents and redeemed it at Korea Plaza, Korea Train eXpress (KTX) Exhibition Hall and if you are a residence outside of KL and Selangor, you can get it via mail. TAKE NOTE: The survey period is available from 3rd April until 18 March 2018 and only valid for those who are visiting Korea from April 2017 to 31st March 2018. I redeemed my DKYW booklet at Korea Plaza counter. Let's start with Korean Cooking Class, shall we? If you are interested to join this classes and other two classes as well, make sure to be part of Kaki Korea Club! 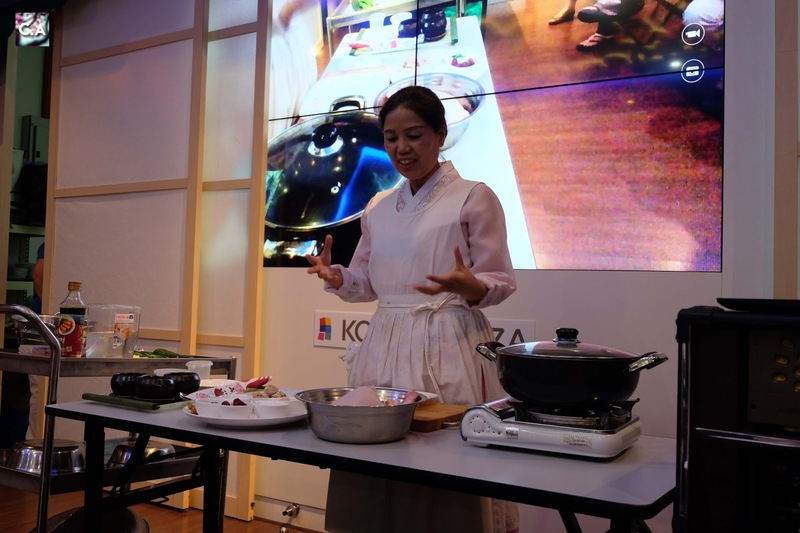 Since Summer month has started in Korea, the instructor Madam Shin Pil Hyo teach us two recipe, Samgyetang and Oi Sobagi that relate to this season. I know about this two dishes because I tend to watched a Korean cooking show and it is just too tempting. Madam Shin Pil Hyo in actions! 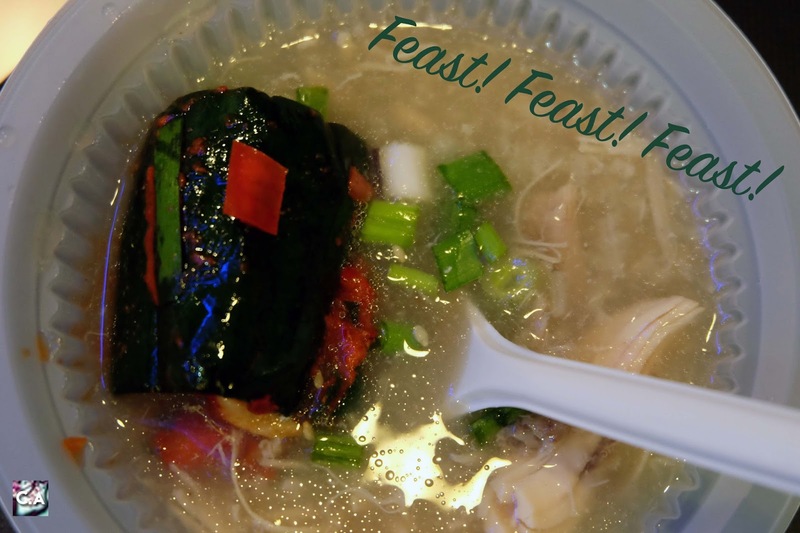 Samgyetang or Ginseng chicken soup is one of the traditional food that served during summer. 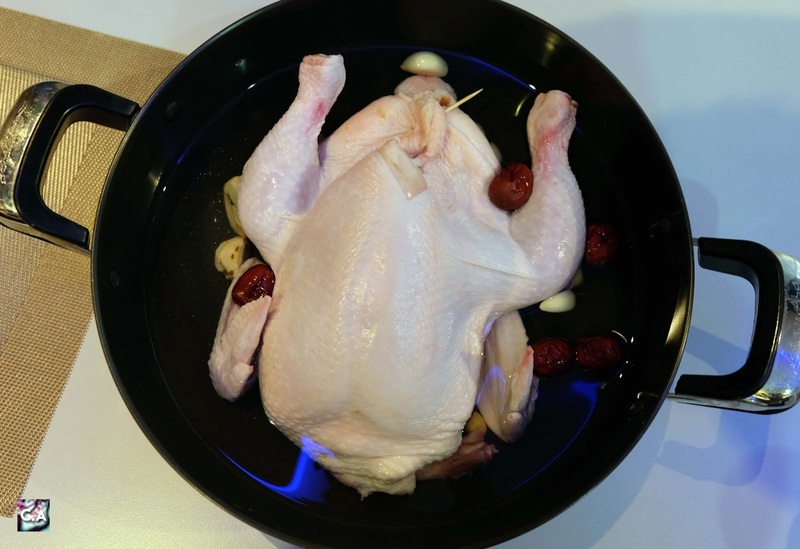 It was quite easy to made if you didn't plan to shred the whole chicken into a smaller piece. Ingredients that you will need are fresh ginseng, dried jujube fruits, chestnut, gingko nuts, garlic, ginger, glutinous rice and a small whole chicken. If you want some kick, add on gochujang (spicy red chili pepper paste) and mix it all together. According to information that I received, Samgyetang is great to help common sickness, cure physical ailments and prevent sickness as well. 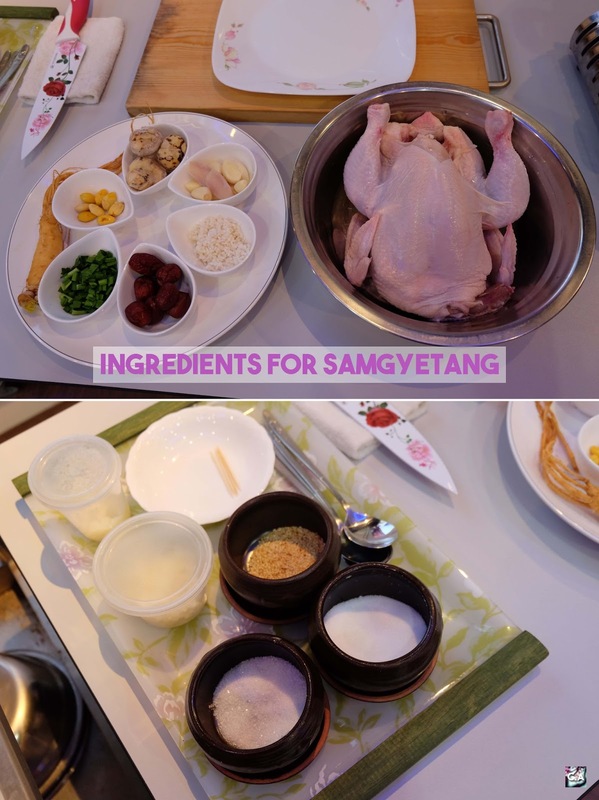 Complete ingredients you will need in order to cook Samgyetang. Oi Sobagi or Cucumber Kimchi. There are about 200 different varieties of Kimchi and this is one of them. 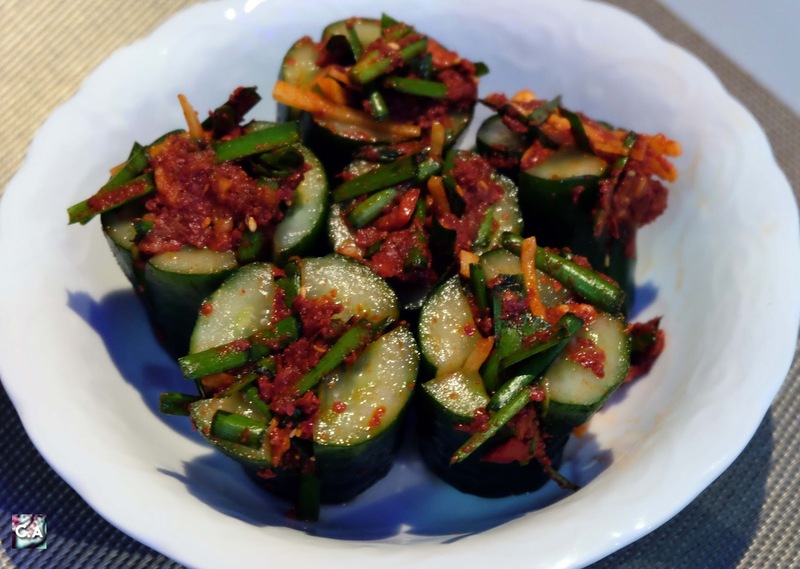 Oi Sobagi, known as Cucumber Kimchi give a very crunchy and refreshing taste at the same time. You will see a tons of this dishes in summer because it's a cucumber season. To made this kimchi, all you need are Japanese cucumber, onion, red chillies, spring onion, ginger, potato, garlic, chilies powder, fish sauce and chives. I can assure you that this is really easy to do and you can control how long you want the kimchi to be fermented (extra points, ding ding ding!). 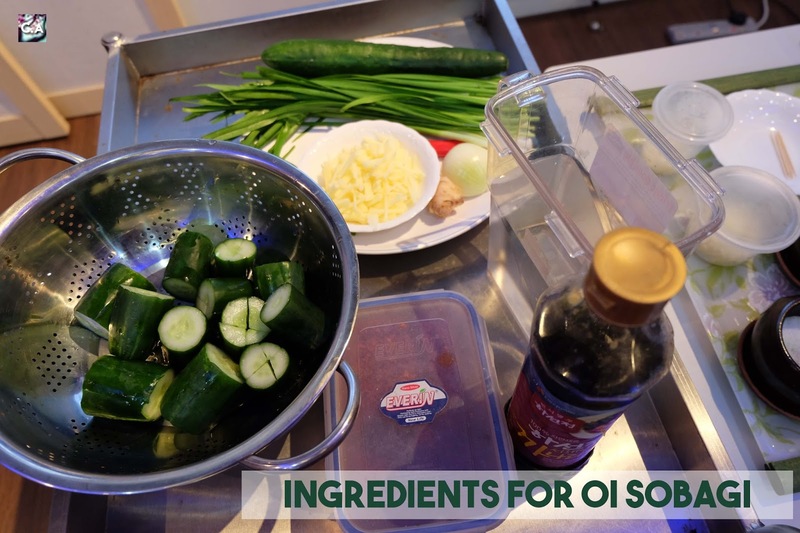 Complete ingredients you will need to prepare Oi Sobagi. After Shin Sonsengnim show us how to prepared the dishes, it's time to dig in! All I can say is I was fortunate enough to taste the authentic food made by experienced Korean chef because its very refreshing! She also sell out her handmade kimchi and gochujang at a reasonable price. I got myself gochujang and I used it all the time to made a fried rice! My meal for the day, ginseng chicken soup and cucumber kimchi. Thank you so much to Korea Tourism Organization Malaysia for providing such an experiences and I get to meet new friends too! I hope I will be cooking and also write a full recipe for both, Samgyetang and Oi Sobagi dishes. Before I end this post, let me know in the comment below which places I should be visiting in Seoul. All I can say is thank you and your help means a lot to me. Till then, have a nice day! Meeting some new friends here at the class!